If there is one thing that gets me going, it is popcorn. And apparently I’m not alone. Manufacturers continue to “pop up” with new and different brands of the delectable snack. Have you seen the shelves at the grocery store? Smart Pop, Skinny Pop, Boom Chicka Pop and the list goes on! Popcorn is a having a moment and we’ve definitely noticed. Another food craze that’s found its way into my heart is truffle. It too has swept the nation… Truffle fries, truffle pizza, and truffle pasta. So what’s all this talk of things trendy and delicious? Only the most exciting food related announcement I have stated in a while. 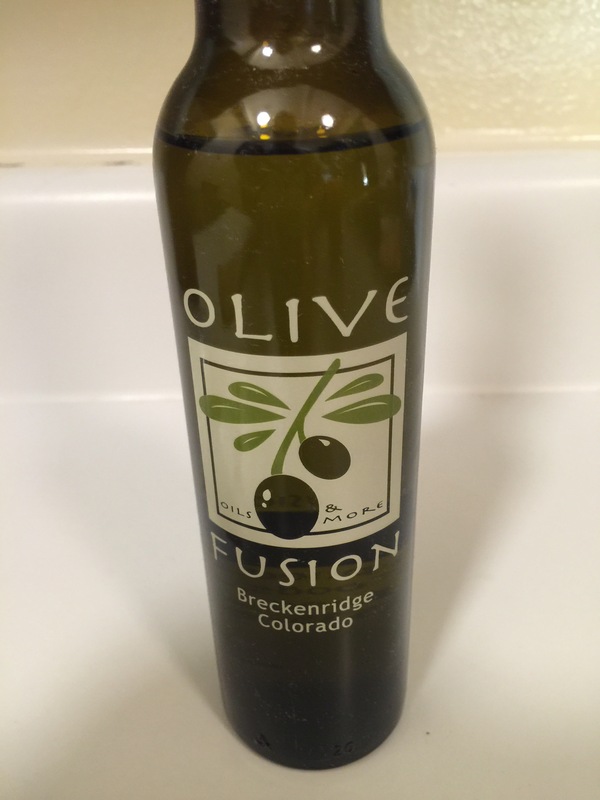 In Breckenridge, Colorado I discovered truffle popcorn, nestled on Main Street in the cutest little shop called Olive Fusion. This place specializes in infused olive oils. They have everything from cilantro lime, chile, to rosemary olive oil. 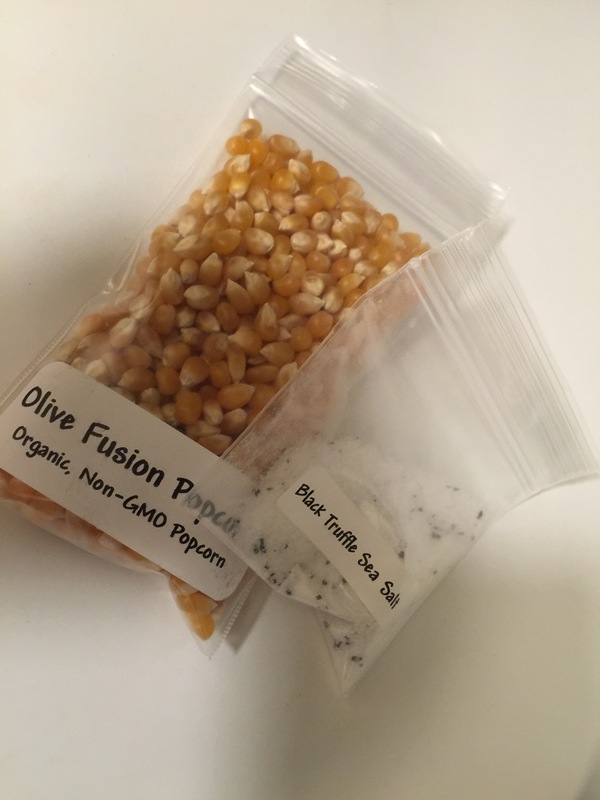 During my recent visit they gifted me with a little sample of their creation, the magical truffle popcorn. It was as if I was the first human to site a unicorn, only more special. As if prepared for this reaction, they handed over a gift box which included the entire popcorn making kit. It comes with two batches of popcorn kernels, one packet of truffle salt, and a bottle of butter flavored olive oil. I was sent out of the store like the three eyed Raven (< GOT reference) and flew directly to the blog to send the important message of where to find this delicious popcorn as well as a short description of how to make it. First, pour 3 tablespoons of butter flavored olive oil all over your butter loving body, I mean… in a large pot. 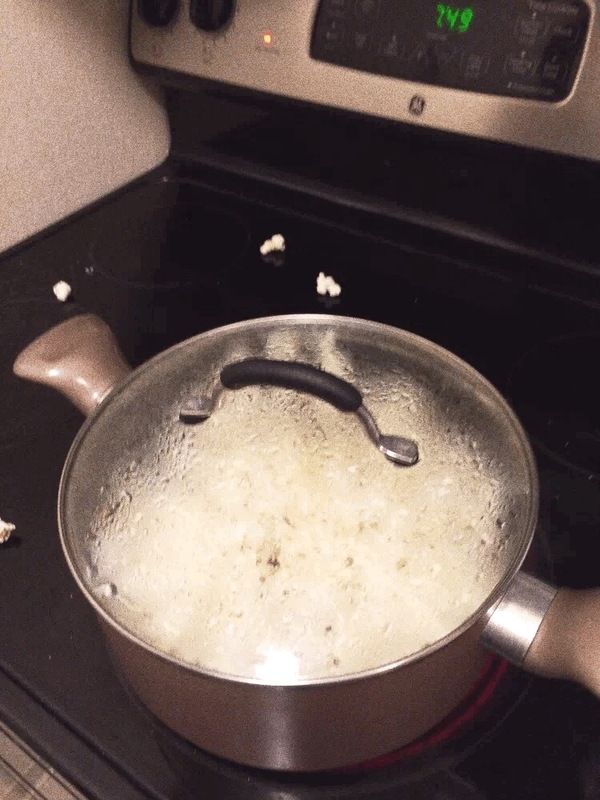 Proceed by pouring one pack of popcorn kernels into pot. Watch popcorn pop while cheering with excitement. Warning, if you open top during this exciting time, some popcorn is bound to escape. Contain yourself and wait for popping to die down. Carefully drizzle a couple more tablespoons of the butter flavored olive oil over your perfectly popped popcorn. Toss in truffle salt. 5 pinches should do. Finish by licking fingers. You should never waste truffle salt. Duh. Turn on The Bachelorette and shovel popcorn into mouth. Feel free to share if you are feeling generous but there is no judgement for keeping truffle popcorn to yourself. A big thanks to Olive Fusion for coming up with this marvelous snack. Visit them for more amazing recipes and to stock up on yummy olive oils for your culinary creativity. We love supporting our local businesses and getting fresh items to make locally inspired meals! Previous Post Why Being Single in Denver Is Not So Bad.